We regularly write cryptocurrency here, of which Bitcoin is of course the largest. While Bitcoin keeps on climbing, you would almost forget that there are also other digital coins. Coins that are still dirt-cheap, and may still match the explosive growth of Bitcoin. Are you on time? In this series we visit promising altcoins, to check which your investment is worth. Not yet familiar with the ins and outs of cryptocoins? Then check out this article. This time it is Ethereum’s turn, also known as Ether. Also check the previous coins that we have discussed. Ethereum is based on blockchain technology. Transactions are therefore carried out and independently verified on a decentralized system, the so-called ledger. You can read more about this technology in this article. It is the technology that also forms the basis of Bitcoin. There is, however, an essential difference: the Bitcoin blockchain is designed for a specific purpose, processing Bitcoin transactions. Ethereum has been developed as a flexible infrastructure. As a result, the digital currency is more flexible than the competition. As a result, companies can more easily build their own applications with it. Are you interested in making an investment in Crypto? Check this Video Now! Ethereum can be used for so-called smart contracts. Smart contracts. In the case of Bitcoin, these are transactions, but thanks to the flexible technology, Ethereum can be deployed more widely. A smart contract is an agreement that can be fulfilled without involving people. These smart contracts are based on the blockchain and carry out a certain action, based on certain conditions. Example: think of an insurance for farmers, who automatically transfer money when a data feed shows that there was a bad harvest. These smart contracts enable decentralized applications. In other words, dapps . Services such as WhatsApp are centralized. When you send a message, your app communicates with the WhatsApp servers. Those servers are somewhere in a data center.Decentralized apps do not need such a central point, but function on the basis of smart contracts, which in turn live on the Ethereum blockchain. Blockchain does the same, but with money, by making banks superfluous. Ethereum does this in general, so that much more is possible. Developers are already working on decentralized chat services, decentralized cloud storage services and other decentralized solutions. Eventually you can even think broader. Analysts point particularly to the unique potential of decentralized autonomous organizations, also known as DOAs. That is a completely new basis for organizations as we know them now. Instead of traditional structures such as the relationship between shareholders, smart contracts can now form the basis of organizations. Flexible, instant and direct, instead of bureaucratic log. For the time being this theory remains, but the practice is coming closer. Okay, now it becomes really difficult to understand. Based on Ethereum, the underlying technology, developers can build their own applications and organizations. Clearly. But within these organizations and applications, own tokens and / or coins can also be used. Imagine building an app for Lego enthusiasts, based on Ethereum. Then I could use my own currency within that. Maybe I call it ‘blocks’. This is a good example of the fact that Ethereum is not only a currency, but also the basis of a currency. As my Lego app has the currency Blokjes, Ethereum also has its own tokens / coins: Ether. Ether is the coin that you can compare with Bitcoin, Ethereum is the underlying basis. 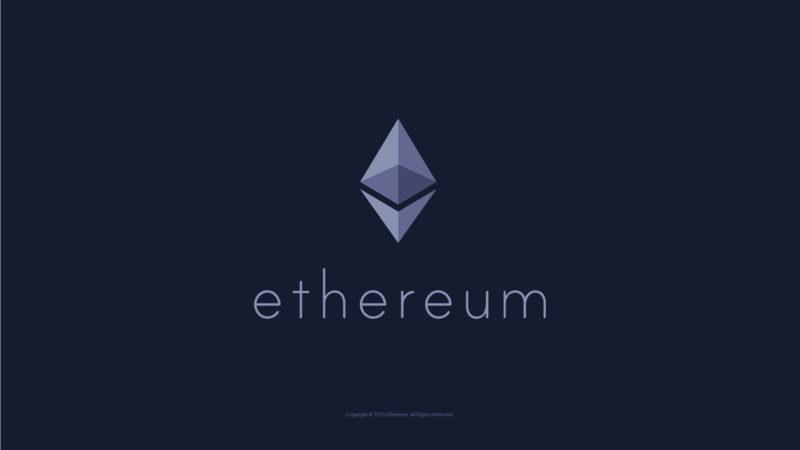 Ether provides a primary layer with which transactions over the Ethereum network can be executed. Consider, for example, the costs that have to be paid in order to use the Ethereum network. You pay as owner of an application or organization with Ethers. The potency of Ethereum and with that Ether is gigantic. The technology provides a basis for a decentralized future, in which a large number of large parties have already expressed interest. It is therefore very difficult to estimate the coin. As a result, Ether is very volatile. In the past year alone, the price of Ether has fluctuated from $ 10 to $ 400. You can benefit greatly from that or become a victim of it. So invest only what you can lose. If it grows, it can grow tifty times harder than, for example, the dollar. But if it collapses, it also collapses tens of times. Avoid Speculation and learn from the pros in this Video! A large number of parties are already on board, but Ethereum, like Bitcoin, suffers from a problem: scalability. Each individual transaction and smart contract must be processed independently and thus decentralized on the network. That is a big advantage, but also involves a disadvantage. It is less efficient than a centralized server. You already notice that at Bitcoin: transactions sometimes take hours to execute. That is a very high threshold if you want to replace existing currencies that support transactions in seconds. And let that be exactly what many coins want. Ethereum bumps with its more flexible and broader commitment, but this remains a potential stumbling block that will apply to every application and implementation. A currency that avoids this problem is Ripple, about which you can read more here.